Yellow Vests: 18th Week Of Protests, France Is On Fire! Here’s a summary of the 18th week of yellow vests protests. This 18th week of protests has seen the largest crowds since the yellow vests movement started with more than 15 000 people reported ( probably more ) in paris, and thousands more all over france. Like previous weeks the protests were marked by violences by riot policemen and scenes of civil war beetween protestors and police. And to fuel the ever growing anger of the french people, guess where president Macron was during this 18th Saturday of protests ? 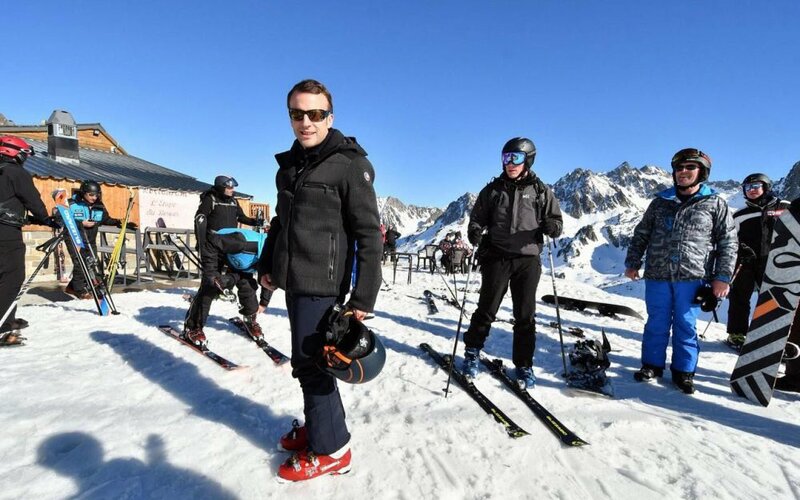 Well..he was out, skiing with is “madame” while is country is burning.. Journalist caught a Policeman supposedly stealing expensive football jersays…gets attacked. 🇨🇵 [#ActeXVIII] – Une incroyable vidéo nous montre l'immense foule de #GiletsJaunes sur les #ChampsÉlysées à #Paris. La plus belle Avenue du monde est noyée de jaune. 📽️💥 🇫🇷KIDNAPPING! #GiletsJaunes à #Paris Le 16/03/19 : C'est qui ces mecs là qui ne portent ni brassards ni insignes de #police et qui voulaient kidnapper cette fille 😱M. #Castaner est ce bien normal!! Dénoncez! As you can see the french revolution is not going to end anytime soon as the french people are now more motivated than ever to change the landscape of their country.